The subpoenas seek information about Flynn associates’ business dealings after he left his position as director of the Defense Intelligence Agency in 2014 and are part of a larger investigation into whether Trump associates colluded with the Russian government, according to CNN. The investigation deals with possible wrongdoing on Flynn’s part regarding disclosures of payments he received from organizations tied to the governments of Russia and Turkey. The Daily Caller first reported Flynn’s work for the Dutch firm, Inovo BV. Flynn was fired by President Trump on Feb. 13, just 24 days into his tenure. The White House claimed that Flynn was fired for misleading Vice President Mike Pence about phone calls he had with Russian ambassador Sergey Kislyak in December. The phone calls occurred just before and after the Obama administration slapped sanctions on Russia for meddling in the presidential campaign. Flynn falsely claimed that he did not discuss sanctions on the phone call, though transcripts of the intercepted phone calls reportedly showed otherwise. Flynn may have misled the FBI about the phone call during an interview on Jan. 24. Flynn has had other suspicious dealings with Russia. In Dec. 2015, he was paid $45,000 to attend a gala in Moscow hosted by RT, the news outlet owned and controlled by the Russian government. Flynn sat next to Vladimir Putin at the event. 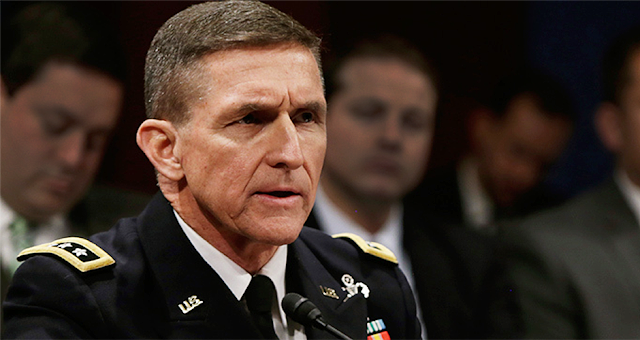 As a former military officer, Flynn was required to disclose any foreign payments to the Defense Department. And though Flynn appears to have disclosed that he was traveling to the gala, he did not inform the Defense Department that he was being paid to do so. CNN reports that it learned of the federal subpoenas just hours before Trump fired Comey. The decision has already led to calls for the appointment of a special prosecutor to oversee the investigation into Trump associates’ ties to Russia.